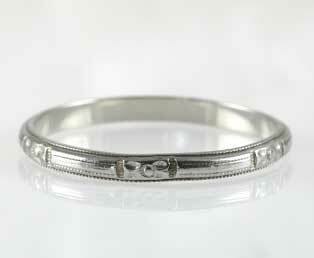 This vintage flower engraved ladies wedding band is lovely. This white gold wedding band has engraved four petal flowers that are divided by a fine linear design. This estate floral engraved wedding band is crafted in 18kt 750 white gold and is in excellent condition.